Kindred’s robots are different than predecessors. The robots use a specific kind of AI called reinforcement learning, an often-underlooked segment of AI. Sure, that’s different, but not unheard of. What sets Kindred apart is that their machines also have a fleet of specially-trained pilots sitting in a Toronto office teaching the robots human-assisted best practices. Now that’s a bit different. James Bergstra is a co-founder of Kindred and the head of AI research at the company. He is responsible for overseeing the transition of research and innovation in machine and reinforcement learning to the company’s business model, publishing research results, and essentially everything involving how the robots work at Kindred. 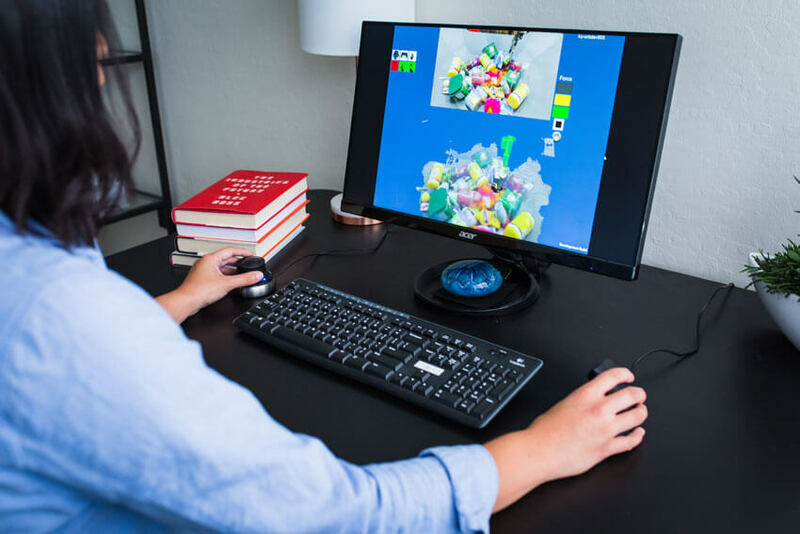 Over the last three years, Kindred has become one of the leading companies in the world when it comes to researching and applying reinforcement learning with real-world outcomes. Robots learn from their mistakes, and when a human guides them, they learn even quicker. From a very basic perspective, Ai at Kindred operates like this goes like this: Write an algorithm that teaches robots to recognize and pick up things then place or sort them. When it messes up, let a human guide it to the right outcome. The machine picks up the human’s patterns and then teaches itself, eventually getting to a point of confidence where the humans can stop interacting and move onto a new robot. For example, one “human-inspired” change involved recognizing that a pilot moves much more gracefully and fluid than the original robots did. Bergstra introduced a closed feedback loop between choreographing movements of the arm and how the gripper worked, almost reminiscent to how a human can twist their arm and grip their hand in real time as they are reaching into the back of a cupboard to grab a can. This is not about humans sitting in the cockpit of a giant robot and piloting it. Kindred’s pilots sit at a desk (see the image below), a cup of coffee within reach, and jump in to help the fulfillment robots if they get stuck. The kinds of things each robot may get stuck on include trying to grasp a particular article of clothing, or not knowing where to place that product. A Kindred robot pilot at work. The combination of technologies to achieve this kind of process is staggering and built completely in-house. The robot exists inside a warehouse and is roughly the size of a human arm, complete with a rubber gripping ‘hand’. It has a stereo camera so the robot pilots can see everything that is happening. The robot utilizes basic optimization and scanning techniques but also has a specialized proprietary technology called AutoGrasp, which can be seen in part below. The star here is the robot AI itself, but it’s hard to ignore how Kindred has seemingly created an entirely new job with robot pilots. Trial and error is a large part of how Kindred gets to what Bergstra calls “General common sense human-like intelligence” within their robots. When Kindred first began testing their robots, the AI was not confident in what it was doing most of the time, meaning it often had to call out to the human pilots to intervene. A pilot’s interaction with a robot is minor, and most of the time last just seconds. They will grasp something, or scan something, or contort the robot arm in a smoother way in order to place or pick something up. Here’s a quick breakdown of the robot pilot role: they don’t need engineering backgrounds, and Kindred recruits locally, taking in co-ops and interns. Kindred makes it a point to hire employees with different backgrounds, as robot pilot is a newly-created job and they do not know who may be best suited for the role. Pilots monitor an entire fleet, and when they jump in to help a robot, they do not know the facility or robot they are helping. If they cannot solve a problem, they call for someone on the warehouse floor to intervene. But to even get to the point of using human pilots was a lot of work from Bergstra and his team. They used deep learning and neural networks to enable the robot to make predictions based on two available pieces of information: “What am I looking at now in the current state,” and “What might I do in this current state.” In Kindred’s current case, that means grasping a product to pack and ship. 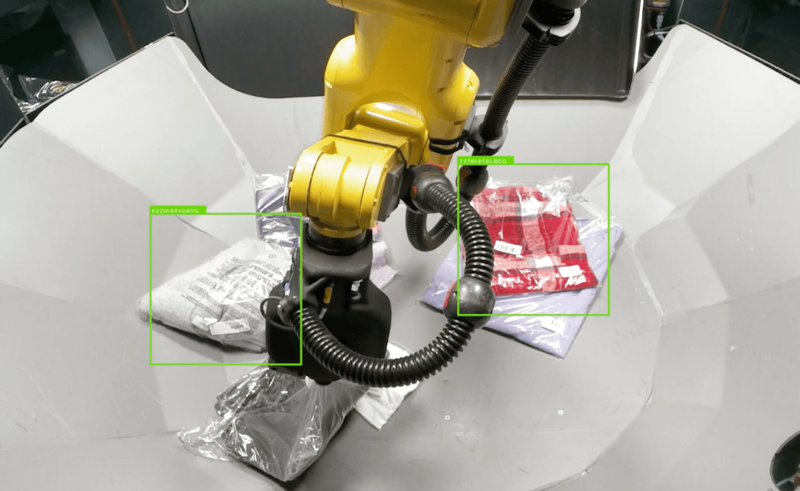 The robot uses deep learning to identify the item in front of the robot, how effective it would be to act on that product, and then what the reward would be. The confidence threshold is what Kindred’s value proposition rests on. They report 85 per cent—meaning Kindred is handling 85 per cent of the automation at a near-perfect level. A key part to growing the company was making sure they could hit this threshold quickly. The team did in-house testing during their early years from 2014-2016, found it to be viable, then found a pilot partner in Gap. Kindred began measuring their success in a fulfillment setting first in an offline way, then gradually ramped up. Bergstra is candid about the early days. That early hesitation was well-founded, considering reinforcement learning is a niche form of AI that has not been widely adopted by the robotics community or as an engineering discipline. There’s not a lot of research to draw conclusions from, so understanding how it would fit into a product roadmap and live fulfillment environments was a challenge. “If you have a lot of information to take into account, the process is slow,” Bergstra says, explaining why reinforcement learning has not yet been fully embraced. The work Bergstra has been doing with reinforcement learning is hugely impactful on how AI and robotics will be used in the future, even outside of e-commerce fulfillment centers. Perhaps the most important thing for Kindred is to be able to share and replicate the advances they have learned. It is not viable as a business to create a custom-tailored knowledge for each client, so Kindred is prioritizing the ability to use their learned knowledge and systems and apply it to any environment, even outside of the clothing world. The robots can be trained within weeks to pick up boxes, cartons, bottles, bags, or almost anything else. This is where Kindred stands out. They are one of the only companies in the world that can scale this type of reinforcement-learning backed AI and bring it to new customers with new problems to solve. A Kindred robot picking up a packed shirt to ship out. That proclamation is music Kindred CEO Jim Liefer’s ears. As the top exec, Liefer is ecstatic about the massive value this approach brings to potential customers. 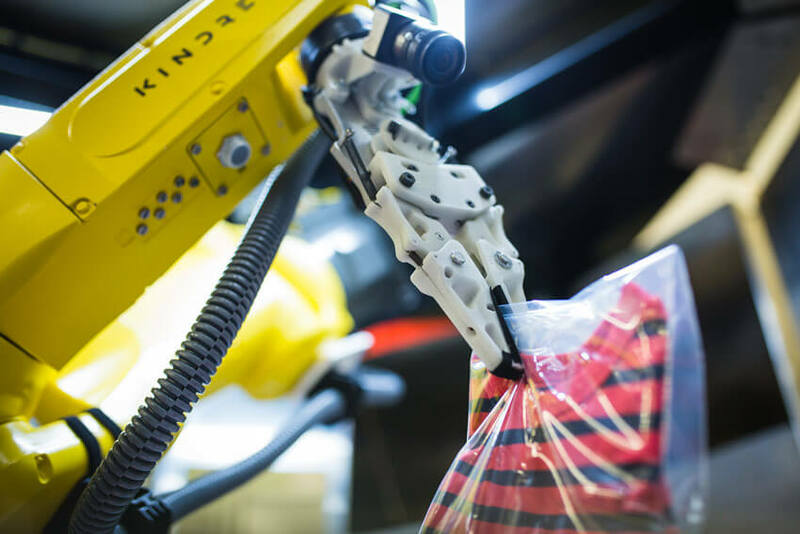 Kindred’s business model is based on typical fulfillment center standards: They charge on a cost-per-pick basis, meaning Kindred makes money depending on how many successful items are picked by their robots. Liefer knows the model well considering he has been in the supply chain world for almost two decades. He spent three years as a VP at UPS, then moved on to be the VP of operations at Walmart for six years. His excitement about how Kindred can change the face of the supply chain world is well-founded. When he came to Kindred, first as a COO and then as the CEO, he was tasked with putting all of Bergstra’s technical components together to solve a real-world problem. Liefer points to the human pilots as the people who bridge the last gap for edge cases in fulfillment—a solution that is not offered anywhere else. This allows Kindred to set their sights high. Between Bergstra and Liefer, they list examples in the automotive, manufacturing, and even healthcare industries. Anywhere a large set of small components need to be arranged in a specific way, and they arrive unstructured. Kindred can make sense of a pile of things lying amongst one-another. The deliberate focus will be on the product Kindred has already developed as opposed to focusing resources on creating another robot with another intended function. Kindred currently operates a “fleet” of robots with several different partners. There growing opportunities as online shopping thrives and companies look to automate aspects of their supply chains. But when people think about extrapolating the possibilities for a human-like robotic arm, they often go right to medicine and surgery. When quizzed about whether he thinks a Kindred robotic arm will be doing open-heart surgery anytime soon, Bergstra laughs it off. And that’s just what Kindred does. They get things to the right place. With a little help from their friends, that is.